Your wedding day is one of the most magical days of your life, but it comes with a mountain of decisions to make. One of the biggest being where you decide to get married. You have the world at your fingertips and there are so many options. If you're the more adventurous type, you can elope to Las Vegas or hop on a plane somewhere tropical for a beach wedding. However, I personally am a fan of tradition and me and my now husband decided to opt for staying at home in the UK for our wedding and here are our reasons why. For our wedding, it was very important for us to have all our close friends and family to attend. We also didn't want to have the added expenses for us and our guests of traveling to a location far out the way. 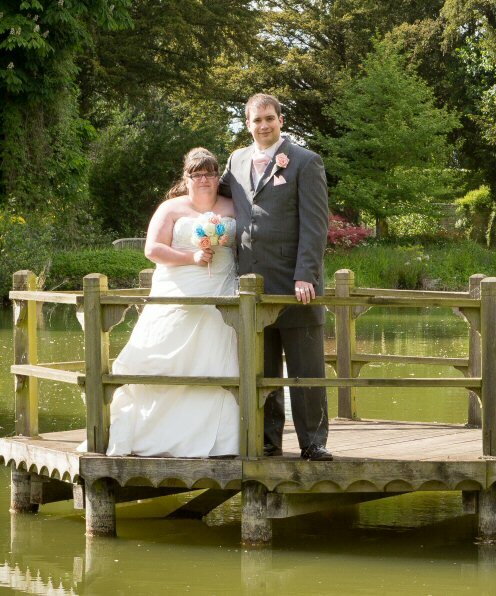 For that reason, sticking close to home was the best decision for us so we opted for the beautiful venue of Chippenham Park in Suffolk, which is only a half an hour drive away for both me and Tony and our family and friends. The UK is known for its gorgeous green landscapes and quaint scenery and that made it a very easy decision for us to stay at home for our wedding. You have got such a huge choice of beautiful wedding venues across the country. There are many counties throughout the country you can find your ideal wedding venue, simply just look up the location you're after followed by ‘wedding venues' such as Berkshire wedding venues. Some of the most gorgeous venues are around the south country where you can find stunning wedding venues in Hampshire and also stunning wedding venues in Surrey, but it ultimately comes down to personal preference on what will suit you the best. I'd always had pre-existing ideas on what my ideal dream wedding would be, and having it in another location other than the UK just didn't seem necessary for my dream wedding to come true. Whilst an abroad wedding can be extremely exciting, we decided we would rather make the wedding itself special closer to home and splash out on our honeymoon (which was in Orlando Disney!). We also saved money in a lot of ways with our wedding such as me doing my makeup myself, saving over £400 and doing DIY projects for the wedding such as the flower bouquets. Our day was absolutely perfect and magical and having those little personal touches made it extra special. We also got married on a Thursday which was less than half the cost of a Saturday wedding! Once all the wedding excitement was over, we had our honeymoon to look forward to and it seemed silly to consider the idea of having a wedding abroad when just me and Tony can enjoy our newly married life together on our first holiday away as a married couple. We planned our trip to Disney World, Florida for our honeymoon and it was just as special as a wedding day! I'm super grateful for all the beautiful memories we made.